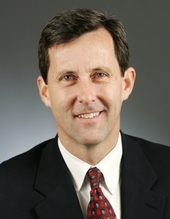 He ran unsuccessfully as the Republican party endorsed candidate for Minnesota Senate District 49 in the 2012 election. He was elected state GOP chairman on April 6, 2013 on the first ballot (Pioneer Press, April 7, 2013). He was a member of Christ Presbyterian Church in Edina, Minnesota. Religion provided by his campaign website, 2008. Hegman, Sonja. "Planning for the Future. Downey Hopes to Offer Proactive Ideas for State's Future." Session Weekly, St. Paul: Minnesota House of Representatives Information Office, February 6, 2009, p. 17.